"I believe our clients are an extension of the Laurus Team. Planning for your future extends beyond investing and involves creating new long-term relationships with clients." Bob has worked in the financial services and insurance industry for over 30 years. 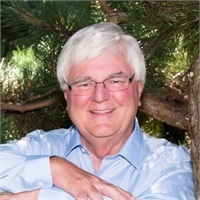 He holds a Bachelor of Arts degree from Concordia University and a Master in Education degree from the University of Hawaii. .
Bob and his wife Joan have three grown children and reside in Puyallup. Securities offered through Securities America, Inc., member FINRA/SIPC. Advisory services offered through Securities America Advisors, Inc. Laurus Financial Group and Securities America are separate entities.